Holding power for over fifty years starting in 1327, Edward III was one of England's most influential kings, and one who shaped the course of English history. Revered as one of the country's most illustrious leaders for centuries, he was also a usurper and a warmonger who ordered his uncle beheaded. A brutal man, to be sure, but also a brilliant one. 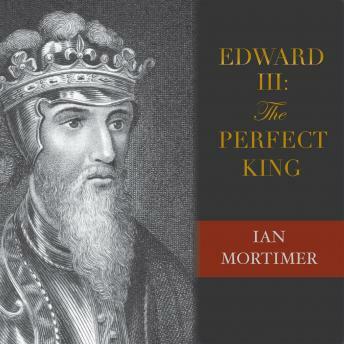 Noted historian Ian Mortimer offers us the first comprehensive look at the life of Edward III. The Perfect King was often the instigator of his own drama, but also overthrew tyrannous guardians as a teenager and ushered in a period of chivalric ideals. Mortimer traces how Edward's reforms made feudal England a thriving, sophisticated country and one of Europe's major military powers. Ideal for anyone fascinated by medieval history, this book provides new insight into Edward III's lasting influence on the justice system, artistic traditions, language, and architecture of the country.